The Port of Columbia Board of Commissioners determines guidelines and goals and sets policy to govern the work of the district. Port staff determines strategies and deliver work product to achieve those goals within the parameters of the guidelines and policies. All Port Districts in the State of Washington are required by RCW 53.20 to have a Comprehensive Scheme of Harbor Improvements on file and officially adopted by the Port Commission. Since the authority of Port Districts has expanded well beyond harbors over the years, the Comprehensive Scheme of Harbor Improvements is more commonly referred to as the Comprehensive Plan or Comp Plan. Click here for a copy of the Port of Columbia’s Comp Plan. Our county is rich with parks and recreation facilities and opportunities. 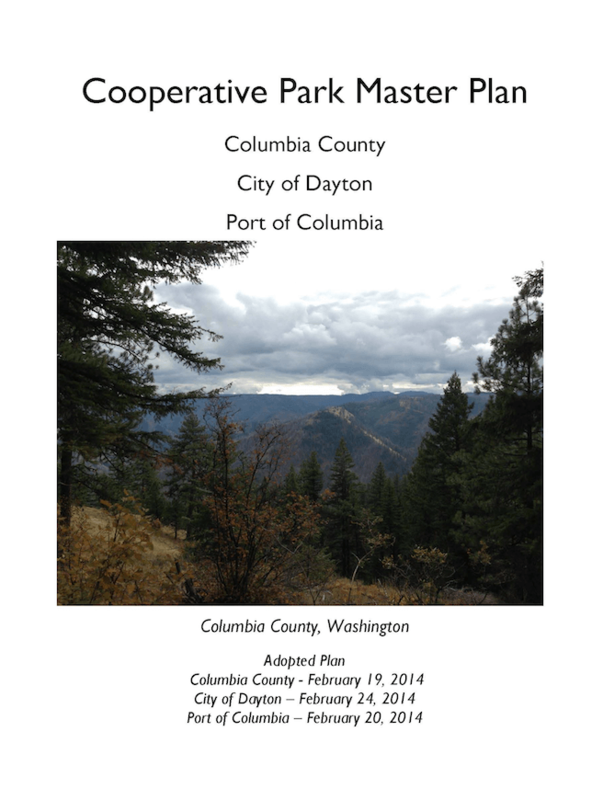 The Port of Columbia worked with partner agencies Columbia County and the City of Dayton to develop a Cooperative Park Master Plan. The purpose of this document is to create a consolidated inventory of recreational opportunities in order to understand the future needs of the community and provide each jurisdiction with a Parks and Recreation Element in their comprehensive plans to be referenced and utilized for funding opportunities. The plan also provides a detailed inventory of park and recreation lands for reference. The Port of Columbia Board of Commissioners sets policy to govern the work of the district. All Port Districts in the state of Washington are required to adopt a budget annually.